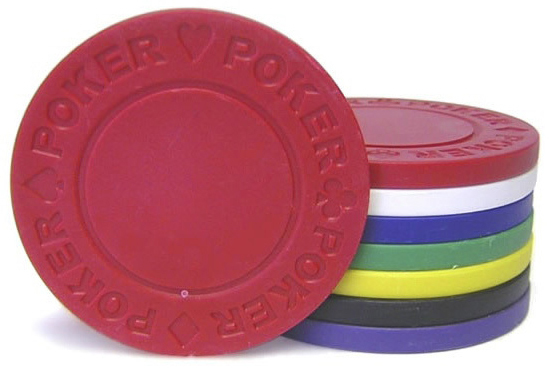 Our solid color 7.5 Gram "Poker" Poker Chips are a quality mid-weight poker chip at an affordable price. These chips are 7.5 gram weight, weighing slightly less than standard casino chips. They are available in solid colors and feature the word POKER engraved four times around the rim of the chips with a heart, diamond, club, or spade between each word. These chips are in stock and ready to ship.